JCCC offers courses for the beginner as well as advanced courses for experienced riders. Our Basic Rider Course and Female-Only Basic Rider Course both include 20 hours of instruction — eight hours of classroom instruction and 12 hours of range instruction. 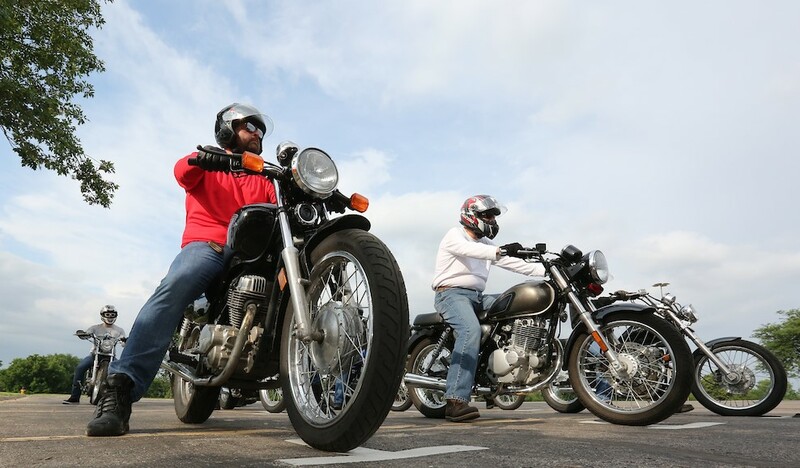 The Basic Rider Course 2 (BRC 2) is a six-hour course that helps established riders hone their skills. Both our Basic Rider and Female-Only Basic Rider courses cover the basics of operating a motorcycle. They also help students develop safety-oriented thinking strategies. These courses include both classroom learning and experience on the range. Learn about the different types of motorcycles, their controls and how they operate. Once familiar with the basic principles of motorcycle operation, students move out to the range portion of the course. 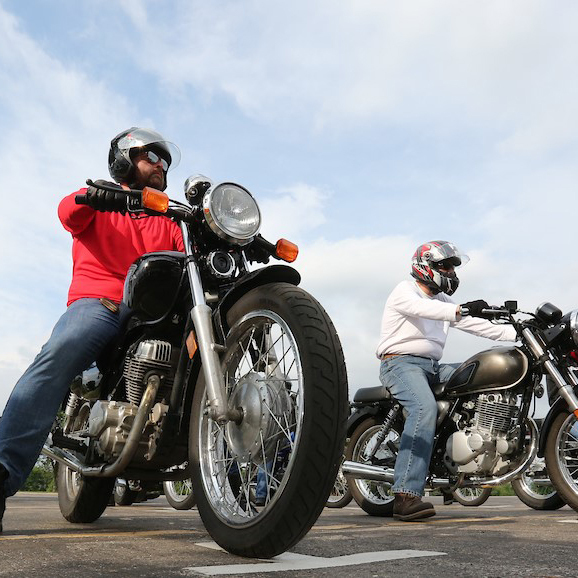 Instructors begin with basic skills like starting the bike and getting a feel for balance. Successful students progress from straight-line riding, turning, shifting and stopping to cornering, swerving and emergency braking. 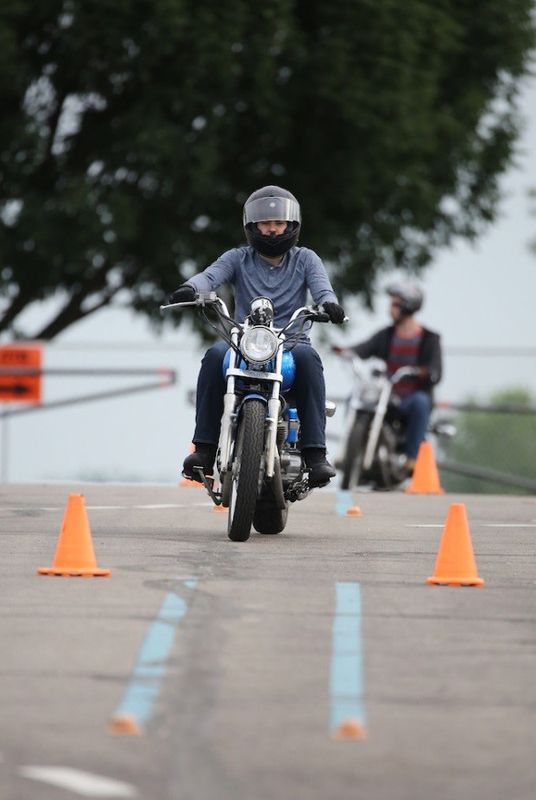 The course concludes with a written and a hands-on riding skills evaluation, both of which students must pass. 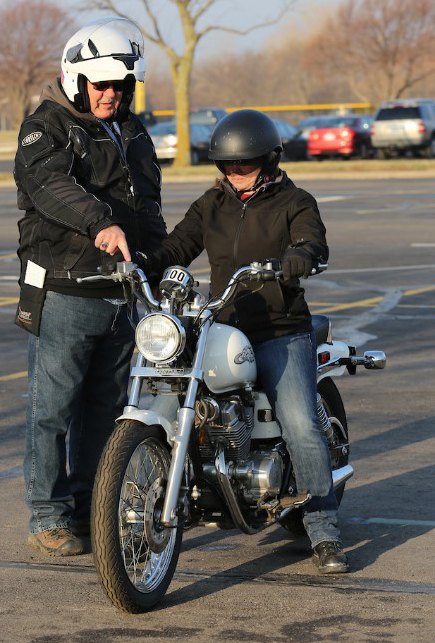 Instructors are with students every step of the way to help develop confidence and comfort on the motorcycle. Students who successfully complete the course will receive a course completion card. 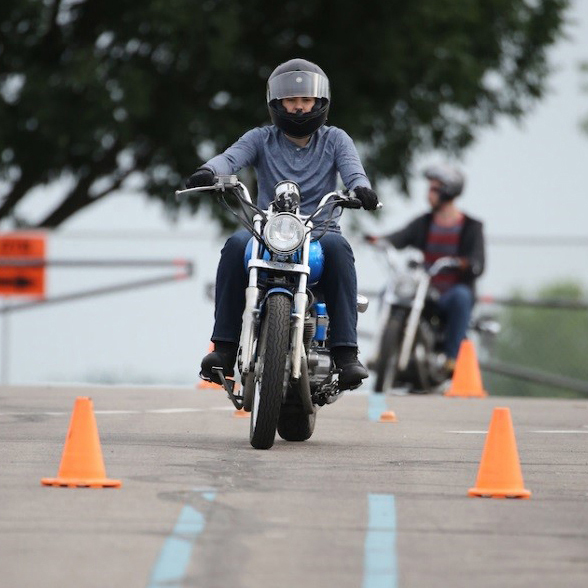 Kansas students will also receive a completed DE-99 form, which should waive the riding portion of your motorcycle endorsement test at the DMV. Missouri students will need to speak with their local DMV to determine if the completion card will be accepted in lieu of a riding skills test. 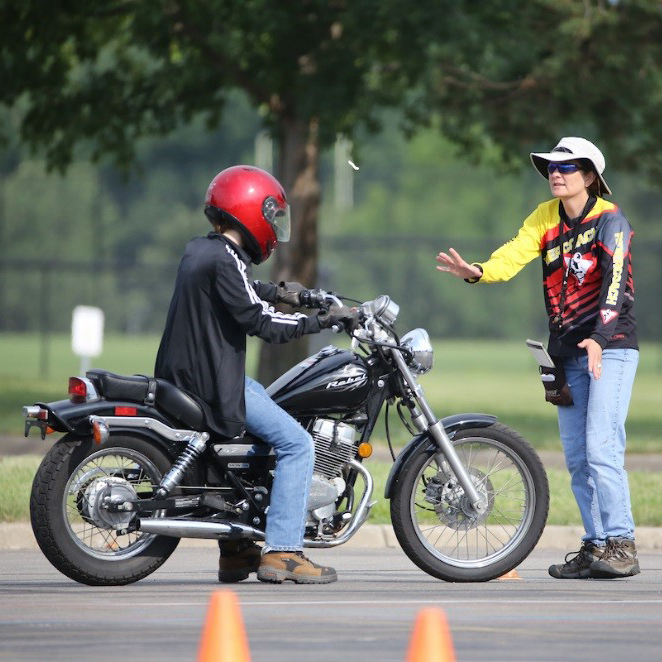 Students who are residents of Kansas are given a Kansas Division of Vehicles certificate of completion upon successfully completing the Basic Rider Course and the Female-Only Basic Rider Course. Kansas students receive an MSF completion card and a DE-99 form, signed by JCCC. Although the state of Kansas driver's license examiners reserve the right to test any applicant, generally the completed DE-99 serves to waive further written or skill testing when pursuing a motorcycle license. This experienced-rider course is ideal for the newer rider who wants to improve riding skills or the veteran rider interested in advanced riding techniques. 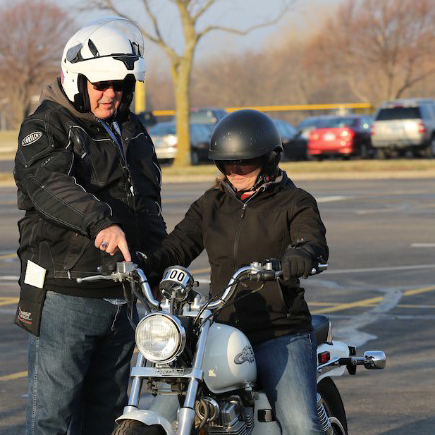 Students must provide their own helmet and motorcycle, proof of insurance, valid motorcycle registration and motorcycle endorsement on their driver's license. All motorcycles must be street-legal. It is recommended students have at least 1,000 miles of motorcycle riding experience. The motorcycle rider courses are open to students 15 years of age or older who have a valid driver's license or learner's permit. Students will be dismissed from the course if they present a danger to their safety or the safety of others during any exercise or evaluation in the course. Students must have no medical conditions or mental or physical limitations that would affect their learning or their safety, or the learning and safety of others. Students must not have used or be under the influence of alcohol, prescription or non-prescription drugs or any other substance that could impair their performance in the course. 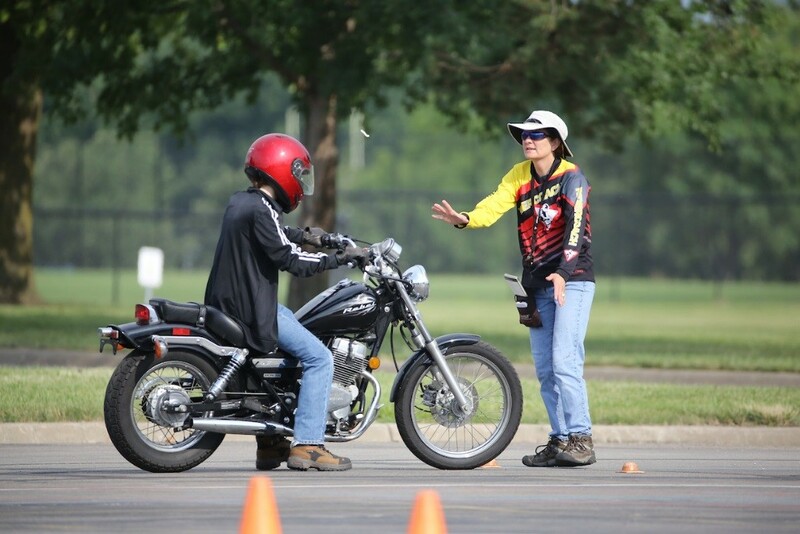 One week prior to the start of the course, you must stop by the Continuing Education Registration office, Regnier Center 173, to complete the Motorcycle Safety Course Waiver & Indemnification and the DE-99 Certificate forms. The registration office is open from 8 a.m. to 5 p.m. Monday through Friday. For students younger than 18, both the student and a parent must complete and sign the required forms in the office. Prerequisite Skills: Proficiency in riding and balancing on a two-wheeled bicycle. This is a physically active class; students must be in condition to handle a motorcycle and have balance and coordination. On the first night of class, students will be asked to inform instructors of health conditions, medications or other circumstances that could jeopardize their own or others' health and safety. Students must be present and active for all class sessions. Classes will meet regardless of inclement weather. No refunds will be given to students who do not successfully complete the program. Proper riding attire will be discussed in the first course. You do not need to wear riding items to the Friday night classroom-only session.